Countertops are not included. Wood tops are available from Fieldstone Cabinetry. 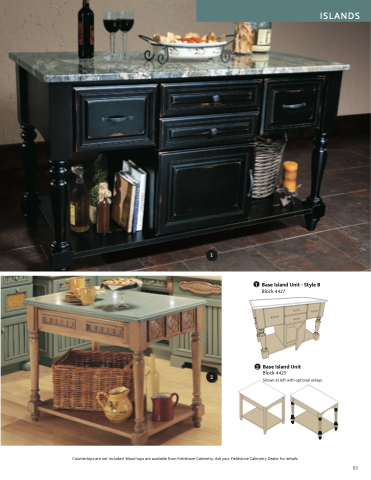 Ask your Fieldstone Cabinetry Dealer for details. Shown at left with optional onlays.